Steamed green tea is processed through steam deactivation. The tea quality features “three greens,” namely, green dried tea, green liquid and green brewed leaves. As the oldest green tea variety, steamed green tea is still produced today, for example, the Yu Lu Tea from Enshi of Hubei Province. 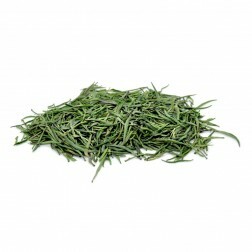 Also most Japanese green tea, such as Sencha, Gyokuro and Tencha are steamed.